A practical guide that addresses the management of cardiac patients across the spectrum of health care settings. It assists nurses to develop a complete understanding of the current evidence based practice and principles underlying the care and management of the cardiac patient. 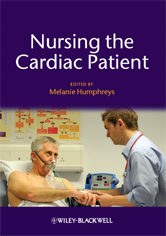 It combines theoretical and practical components of cardiac care in an accessible and user-friendly format, with case studies and practical examples throughout.